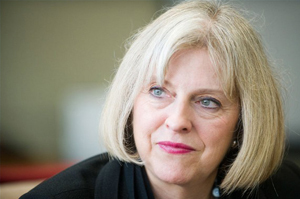 We were fortunate this month to host Home Secretary, Theresa May. She was joined by local MP, Penny Mordaunt, to discuss concerns on the forthcoming immigration status checks which landlords (or their agents) will have to carry out. They were keen to see how our background ID check system works and how FCC Paragon uses this to ensure that referees are eligible to be in the UK . As a result of our thorough referencing, in the past we have come across numerous fraudulent applications for tenant referencing. Operations Director, Janie Gaston explained that “Tenant Referencing is our core business and our experience in this field enables us to clearly identify what measures should be implemented to really make a difference, without putting the onus on landlords and letting agents”. In addition, four years ago, after identifying growing concerns surrounding the verification of foreign nationals, we approached the UK Government and offered to trial a free service. We asked the minister to revisit the Government’s proposals ahead of its “Right to Rent” pilot scheme, which commenced in the West Midlands on 1/12/2014 and it now seems that the Government is keen to work with experts in the field to tackle the mounting problem. The scheme involves landlords in the West Midlands taking responsibility for checking the immigration status of their tenants. Janie also said “we are grateful that we have finally had the opportunity to air our thoughts directly with the Home Secretary, who was encouraged by the depth of research that we carry out, the results of our initial trial and the ideas that we presented that would support the Government in creating a fairer system”.